It was on the evening of Halloween, when having nothing much to do, I decided to embark on a trail to the haunted places in Kolkata, with my friends. Of course I had done my research and knew the top sites in the city, but having someone well versed in the game would increase our chances of some encounters, I told myself. So Mr. Partha Sarathi Mukherjee from Walks in Kolkata played the role of our tour guide. We assembled in front of the Lalit Great Eastern Hotel, an ancient building itself, but sadly, having no such ghostly past! Our first stop was at a dilapidated building that had housed the Peliti Restaurant, the first restaurant to be opened in Kolkata. It was established by one Frederico Peliti, the chief Chef of the Earl of Mayo. After the Earl’s untimely demise, he had started his independent venture. Though there has been no reports of any ghost sightings of late, we couldn’t help but get a strange feeling as we entered through the gates, and looked up at the spiraling staircase leading up to what was the 1st floor of the erstwhile eatery. The elite of the city used to flock here to have the buffet lunch and their confectionaries. But it has been shut down since ages, and only dark shadows and eerie screeches greet any visitors who dare to cross its notorious gates now. As I took out my DSLR to try and capture what wasn’t visible to my naked eyes, I found my hand trembling. Fortunately I had a few fellow scared souls to accompany me! Beside this restaurant, stands Ezra Mansion, or what remains of it. Built by a businessman and promoter Mr. Ilyas Ezra, the building is now abandoned. However people sleeping on the pavement in front often get awakened at midnight by sounds of windows opening in the third floor of the uninhabited building. Few have, on occasions, even seen a soft glow coming from a particular window on the third floor. I looked up at the window, half expecting to see some light bursting through, but at 8 o clock, I guess it was too early for the “people” inside to wake up! The mood was just building up. After a much needed tea break, to moisten our dry throats, we walked into a lesser known alley, near Raj Bhavan, called Fancy Lane. Not to be confused with Fancy Market, the name Fancy is surprisingly derived from “phansi”- meaning hanging. This lane was used for hanging notorious dacoits. Bengal was passing through a dark age, post the demise of the Nawab era, with the British rule yet to set in. Dacoits, locally known as “Thogis” used to strangulate innocent passers by with a lasso like rope, before making away with all their belongings. The Thogis if caught, were publicly hanged from the trees in this area, something like what was practiced in the Wild West. It is said, that now on Sunday nights, when all the offices in the area remain closed, strange whispering sounds and gasps can be heard. People usually avoid this lane at late hours, as often they get a sense of being followed, or a hissing sound coming from nowhere. I could not help but look back, but thankfully it was a Saturday! Fancy Lane takes on a whole new facade when the offices close down and eerie shadows and sounds are what greet the few people who dare to loiter around at late hours! An abandoned building in the Fancy Lane, adding to the eerie quotient on a cold winter night ! As if this wasn’t enough, we were then taken to the House of Lord Hastings near Judges Court. The Lord usually spent his weekends here, spending the other days at the Belvedere house – which also has its own share of spook stories! Folklore has it, that this building had a winding staircase leading to a tower at the top, from where conspirators were hanged. Their bodies fell into a well at the bottom of the staircase. Beside the Tower was a ballroom, where cut way from such mundane events, dance programmes were organized for the lord and his guests. The staircase has long been demolished and sealed, to make way for advocates’ chambers at present. However no guards are prepared to stay at night in the building, as the ones who have had to, have reported hearing a loud splash, as if something heavy had fallen into a water body. Many have also heard sounds of people dancing and laughing, with music playing in the background. We had to climb up two storeys to peep into what remained of the passage leading to the ballroom. I don’t know whether it was the story we heard outside, or the absence of proper lighting, that made a shiver run down my spine, as I sneaked in a look at that passage. A cool breeze brushed my face, or maybe it was my imagination working overtime. I quickly took a snap, but that turned out hazy! Something was not really right out there! I thus quickly made an escape to the road outside. But that too didn’t seem to be a safe spot, as our guide informed us, that it is on that road, that people often get a fleeting glimpse of a horse drawn carriage- supposed to be that of the Lord himself. Or sometimes the sound of horse’s hooves is all that they hear. Hastings is said to have used the carriage to travel down to meet his wife and children, a practice they say, he hasn’t given up even no! Next in line was St John’s cathedral, which few know to be a haunted place. Well actually it’s not the proper cathedral, but the adjacent gardens that was our center of interest that night. It was here, that a duel was fought, between two English gentlemen, over some lady, obviously! And till this day anyone unfortunate enough to loiter by those grounds can sometimes hear sounds of two shots being fired, and a lady shouting “Help me, please”! The night guard was also kind enough to inform us that, he had once even seen the silhouette of a lady in a white gown, gliding along the gardens. Seeing some disbelieving faces, he even invited us for a stay that night, but unfortunately we were not in a mood to oblige! Our last stop was at the Kolkata GPO. Few know that the GPO had been built over the site that housed the first Fort William in British Kolkata. That fort had the infamous dungeon, where Nawab Siraj-ud-Daula had held captive British Prisoners of war, after the capture of Fort William in 1756. Many prisoners are rumoured to have died inside the room, though that story is mired in controversy. However many people have reported hearing eerie sounds coming from the basement at night, including thumping and loud bangings on the doors. And that is why not many guards volunteer to stay at the GPO past midnight. Having had a sumptuous fill of ghost stories for the night, we decided it was now time to get back home. The clock said 10 p.m. and frankly speaking, we weren’t feeling too comfortable to be on the deserted roads at that hour. As we walked to the nearest metro station, the sound of horse’s hooves made us turn back in terror, and we saw a carriage passing by. But it looked very much from our times, and not from that of the lords and ladies! But as I got down from the metro at Rabindra Sarobar, the clock stuck 10.30. p.m., and I felt my pulse quickening. This station is also among the topmost haunted spots in Kolkata, and it is in fact at this hour, that passengers have reported seeing fleeting glimpses of semi-transparent shadows on the tracks – the site of many suicides. I sneaked in a look at the end of the lines, but that was all that I could muster before quickly running for the escalator. I have had enough for the day, I told myself, and walked straight back home, to the comforts of the stark electric lights of my room. 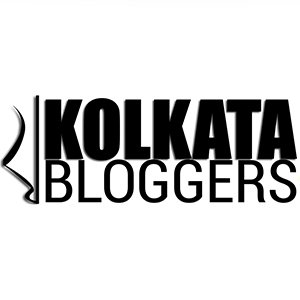 (Archya, in his own words, is the trying-to-be-global bangali babu, who is attempting to carve out a niche for himself in blogosphere, having had mixed results in Medicine Practice. In short, a struggling artist. So the rumours go 🙂 the ambience is quite spooky that’s what I can guarantee !! Yes you should. It’s really worth it 🙂 but do go at late hours !! Then I will have to have a look into those black stories 😉 and may be write something on it !! That was a wonderful — and hair-raising — post. I seriously got chills. Had I known about Walks in Kolkata while I was there, I would’ve wanted to check it out. Yes it was indeed 🙂 I found my hands shaking a number of times as I took the photos !! Yeah…I just loved it!! An ardent fan of ghost stories, thrillers, and spooky, horror movies…this is just my kind of article! I really, really wish I were there 😀 But, isn’t 8.00 pm too early a time to look out for some palpable invisibility? 😛 I mean, at least, it should be after ten. Thanks @maniparna. The time was so kept because there were some children in the group too 😉 may be next time I can check these out a little late in the night on my own, now that I know the places ! I also heard “putul bari” to be an equally eerie place. You can check that out next time. Yes I have heard great stories of that one. Unfortunately it didn’t fall in our route this time …..
Eerie and beautiful at the same time. Loved the photographs, they gave a feeling of haunting. Fascinating article Archya! Few could imagine a neonlit nonloadsheddingridden Kolkata of 2015–or is it 2016 now?–being a spooky place, and fewer would be able to imagine, let alone present, an experience that would actually make the Reader glance once over her shoulder, and perhaps look twice at what is at the corner of her eye. Back in the late eighties or the early nineties, when Load Shedding was a very real phenomenon–I know it was there even before that, but hey, before my time–this facet of Kolkata…Calcutta would be very possible. Apart from the feelings and emotions engendered while reading this piece, I could not also help appreciating some little known facts that you have brought to the fore. For example, Fancy Lane being ফাঁসি লেন took the cake. The icing of course belonged to Peliti’s, and here’s why. Luca Peliti is a well-known and well-respected statistical physicist with a very good book to his name : http://www.amazon.com/Statistical-Mechanics-Nutshell-Luca-Peliti/dp/0691145296. I, being a statistical physicist (or at least a general approximation of one) once upon a time, had had the fortune of having read this book partially. Imagine my joy when I got to meet Prof Peliti at a conference in Kolkata a few years back. The clincher came thanks to my guide whose ability to join dots in physics problems came in handy, as he managed to figure out the Luca Peliti is a direct descendant of one Federico Peliti, Founder, Peliti’s! I believe Prof Peliti, in his visit that time, visited the site of his great grandfather’s legacy, and he also has an excellent article about his connection to Federico here : http://www.peliti.org/Federico/index.htm. Eerie ! Yet keeps you going ! Yes ! On two occasions I indeed had a desperate desire to back out ! Ha ha ! I do hope the pictures do some justice to the experience I had !